Please complete the form to sign up for the “WIN A WEBSITE” Competition. Here’s how to use your computer’s browser to upload a photo to Instagram without having to use a smartphone. You can use the web console feature in Google Chrome, Firefox, and Safari to post directly to Instagram. Using Google Chrome to post directly on Instagram. Open an incognito window in Google Chrome. Open Google Chrome if it isn’t already open, click ⋮ in the top-right corner of the window, and click New incognito window in the drop-down menu. This ensures that you won’t have to log out of your Instagram account if you’re already logged in. 2. Click ⋮. It’s in the upper-right corner of the window. A drop-down menu will appear. 3 Select More tools. You’ll find this option near the bottom of the drop-down menu. Selecting it prompts a pop-out menu with additional options to appear. 5 Click the “mobile” icon. This is the two-rectangle icon in the upper-left corner of the developer tools window. Clicking it will turn the icon blue, and the Chrome window will shift to displaying items in mobile view. 6 Go to Instagram’s website. Click the Chrome address bar at the top of the Chrome window, replace the text there with Instagram’s address (https://www.instagram.com/), and press ↵ Enter. 7 Log into Instagram. Click the Log in link near the bottom of the page, enter your username (or email address, or phone number) and password, and click Log in. This will open your Instagram feed in mobile view. Click ＋. It’s at the bottom of the page. This will open a File Explorer (Windows) or Finder (Mac) window on your computer. 9 Select a photo. Click a photo that you want to upload to Instagram. You may first have to click the folder in which the photo is located on the left side of the window. Click Next. This blue button is in the upper-right side of the “New Post” page. Enter a description. Click the “Write a caption…” text field, then type in a description for your photo. Click Share. It’s a blue button in the upper-right side of the page. The photo will be posted to your Instagram page. 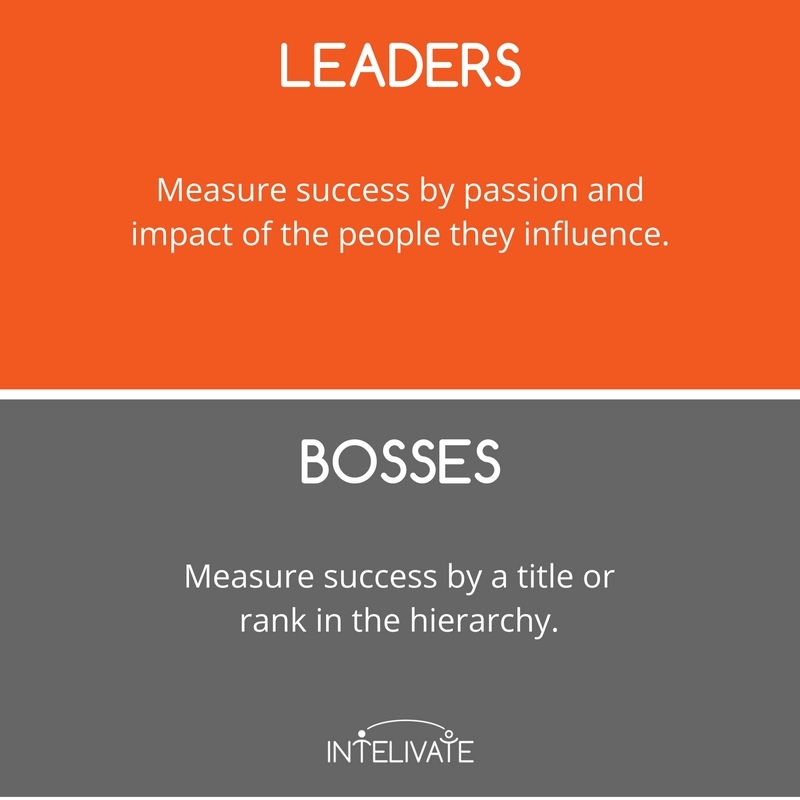 Today in our Digital Marketing Blog we are discussing the effects of being a leader or a Boss at Work. ROCO Marketing has been one of the Leaders in Digital Marketing. A boss will teach you what to do. A leader will show you how and why to do it. A focus on the why is one of the most critical leadership approaches because it makes learning sustainable and transferable to other situations. Sustainable learning and self-reliance are huge deterrents of toxic leadership and micromanaging. As Leaders in Digital Marketing, we educate our clients so they can have a clear understanding of the effects and advantages of investing in Digital Marketing. Informed Business Owner is a happy Business Leader. Boss vs Leader: One of the key characteristics of a leader is to teach. 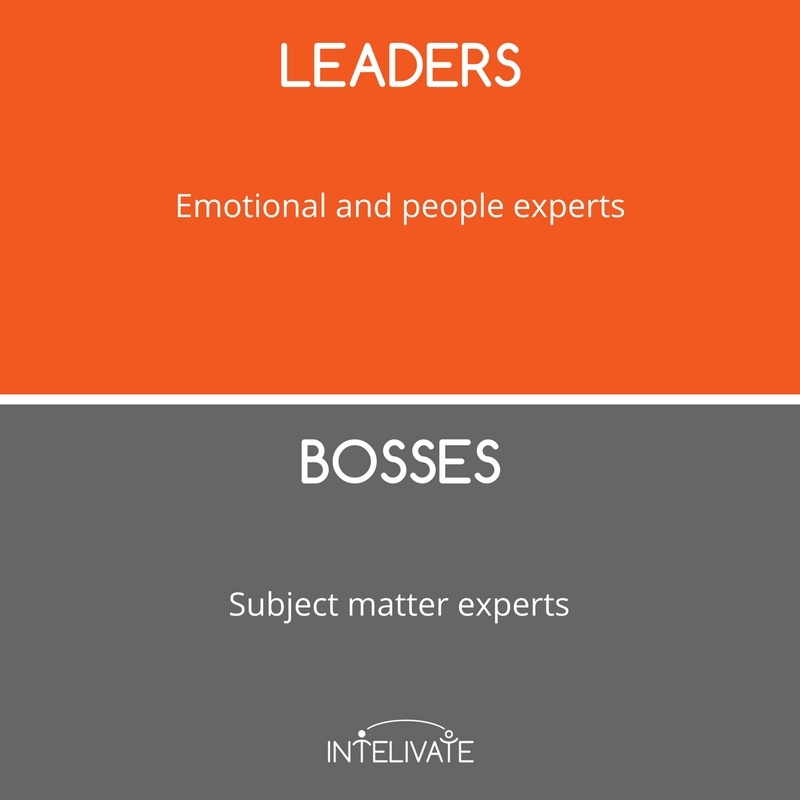 A leader is an emotional and people expert where a boss is a subject matter expert. Great leaders are very sensitive, albeit not emotional which is why they have fantastic strategies for conflict resolution in teams. There is a difference. Sensitive is how in tune you are with feelings. Emotional is your reaction to those feelings or a situation. Although we can’t control our feelings, we can certainly control our reaction to those feelings which is our emotional display. This is why it’s very important as Leaders in Digital Marketing to understand consumer pain points. We can don’t just sell products and services. We offer solutions and focus on Customer Retention. We as a Marketing Agency understand that Digital Marketing and Social Media Marketing can be time-consuming and complicated, that’s why you need us. We can be your Marketing Partner, we can help you achieve success and reach your goals. Leader versus boss: Leaders are people experts. Bosses are SMEs. Bosses need you to perform well for their success. A leader wants you to feel successful even if you failed. One of our incredible characteristics as leaders in Digital Marketing is the capability to plan, to adapt, the ability to change to successfully reach targets, goals and ultimately be successful. Boss vs Leader: One of the characteristics of a leader is making you feel – and be – successful. A boss holds you accountable. A leader grows the confidence and passion from within you to build self-accountability. It is an incredible process to watch unfold and supports sustainable success all around. This is one the many differences between leadership and management. 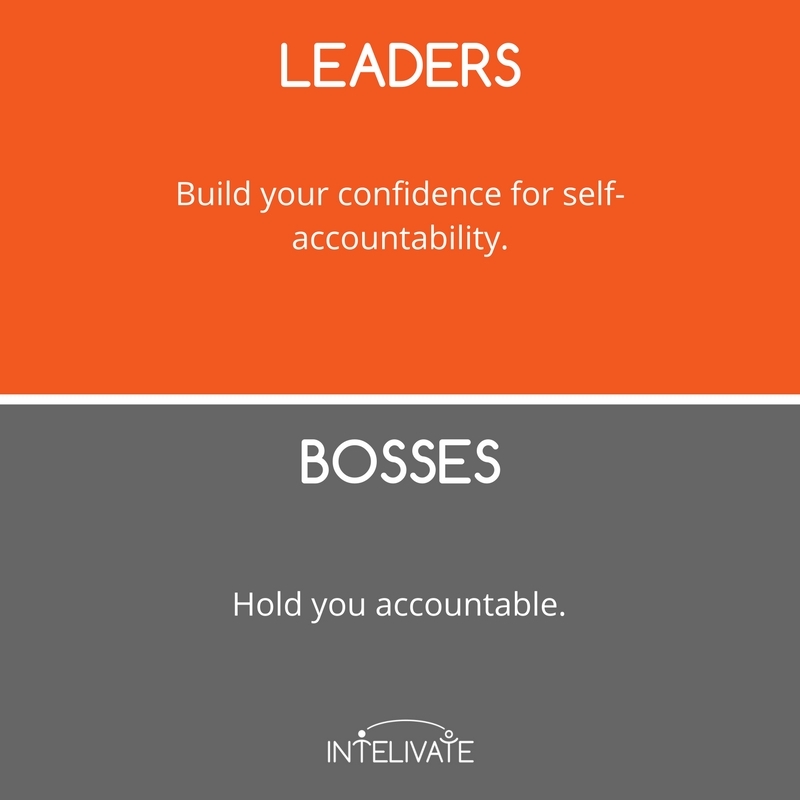 Boss vs Leader: Leaders build an inner desire to hold yourself accountable. Bosses determine their success by a title position or hierarchy in the business. A leader – especially a born leader – influences anywhere and everywhere. Leaders define their success by the passion and impact of the people they influence. This is why I believe great leaders are born. One of the delineating characteristics of a leader is how success is measured. 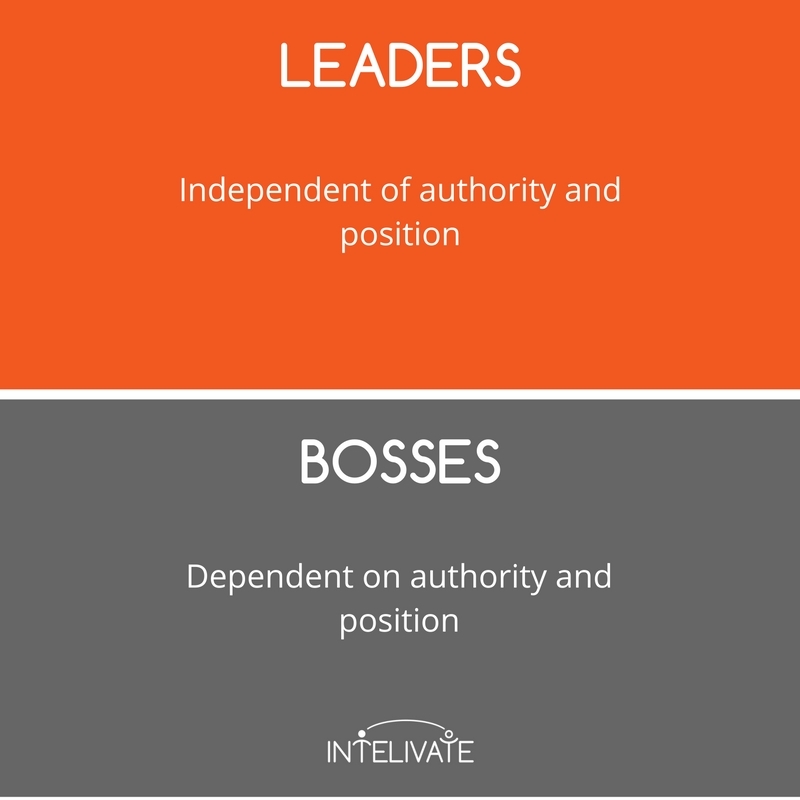 One of the biggest delineators of the boss vs leader is authority dependency. A boss depends on positional power to have an impact. Leadership influence in not dependent on power or position. Some of the most fantastic leaders I have encountered had no authority over the people they influenced. 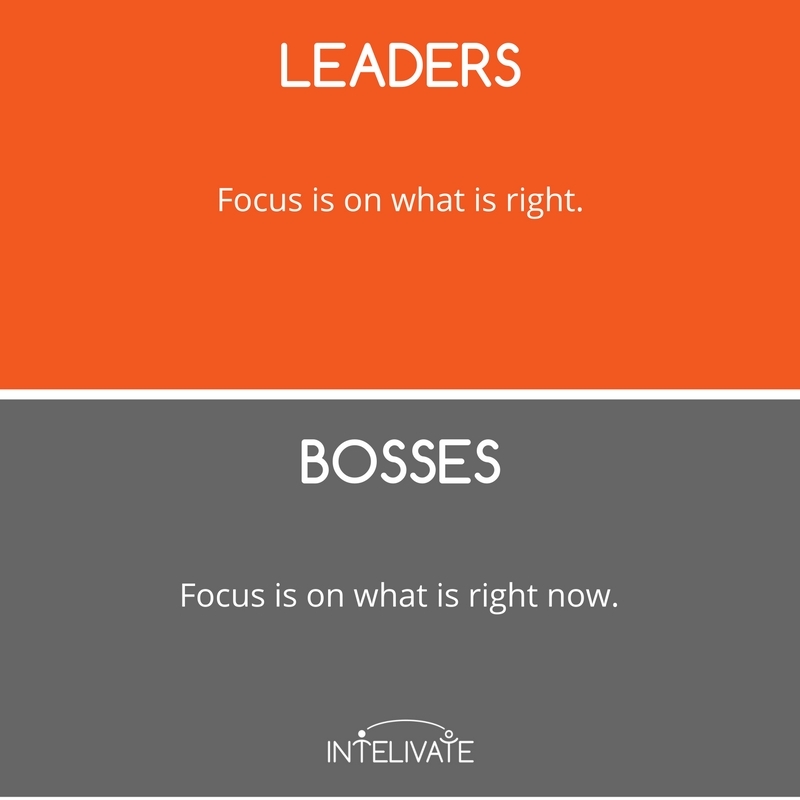 Leader vs Boss: A leader does not need the power to control. A boss focuses on what is right now – putting out the daily fires. A leader stays focused on doing what is right. Out of all the characteristics of a leader, the ability to force your decisions past the chaos at the moment is the difference between success and failure. Characteristics of a Leader: Do what’s right, not what’s right now. A boss focuses decisions on the competition. Leaders stay aware of their competition but operate with a legacy definition in mind. This also supports not making potentially bad decisions at the moment and focusing on the future. Have you ever noticed an Olympian swimmer? The swimmer on either side is not their focus. Their focus stays on what they need to do to nail their legacy – winning the gold. 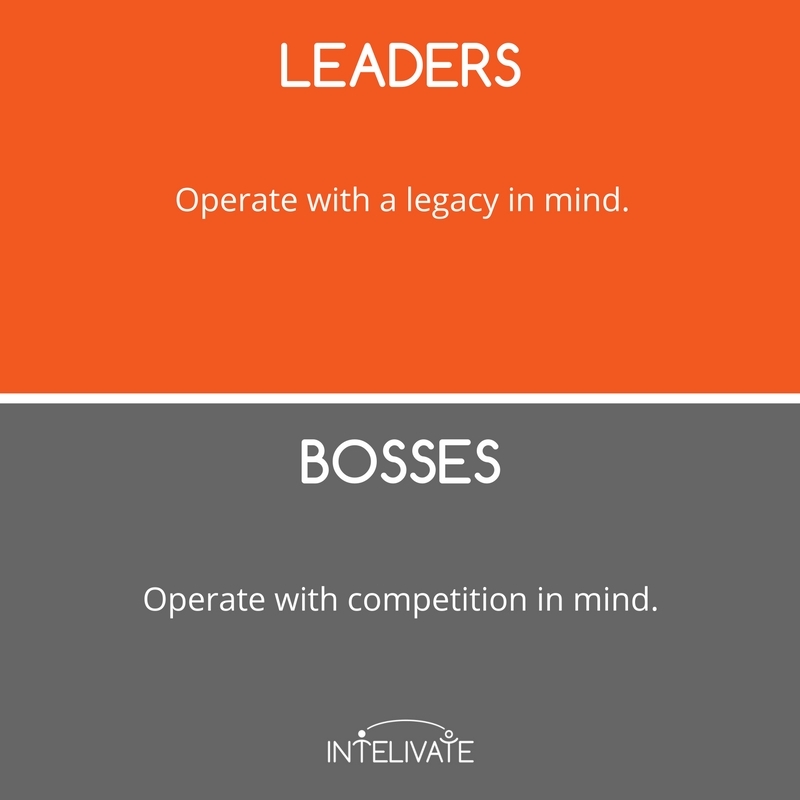 Boss vs Leader – A leader understands the competition but operates with a legacy in mind. 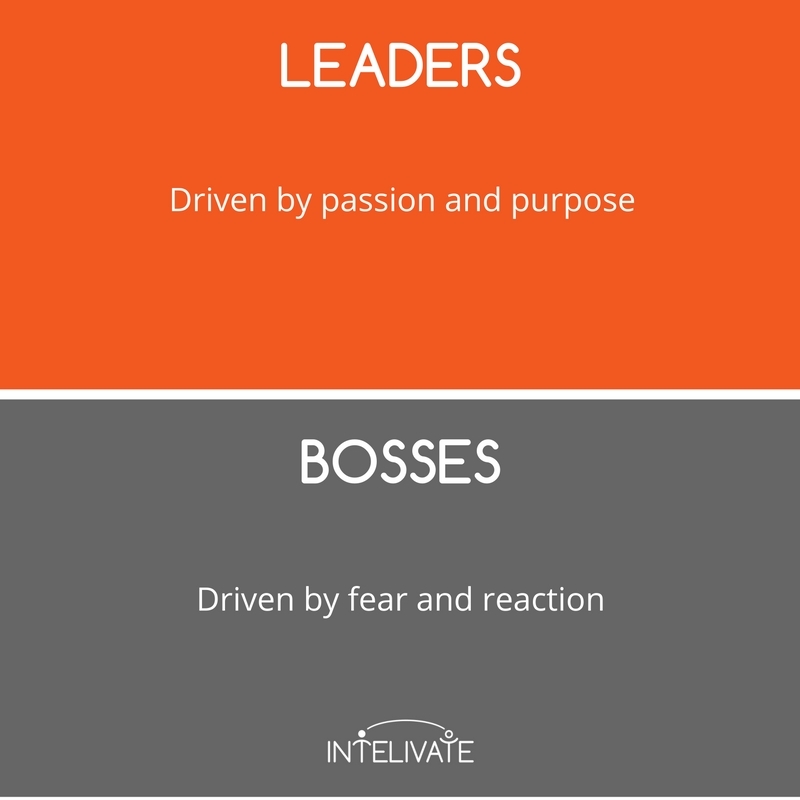 Bosses – and bad leaders – are driven by fear and reaction. A leader stays driven by passion and purpose – even during the challenging times of business change and transformation. Boss vs Leader: One of the characteristics of a leader is a drive for passion and purpose – always. 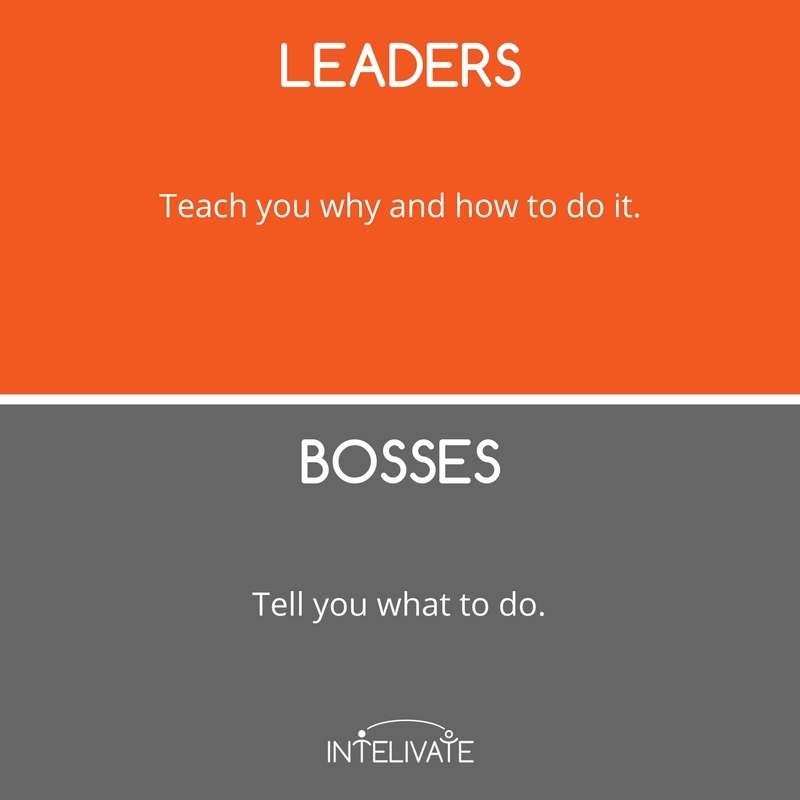 This is a HUGE definer of a boss vs leader. A boss always wants to stay your boss. A leader – much like a parent – wants you to do better. A leader would proudly build you to ‘the boss’ and build your career progression plan to make it a reality. 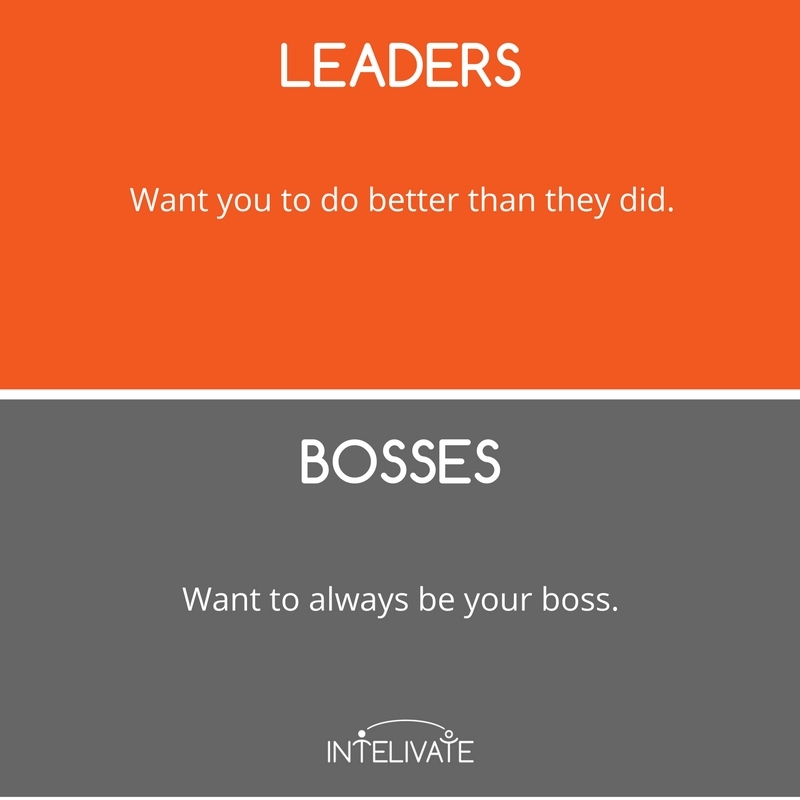 Leader vs Boss: A boss always wants to be – your boss. No – I am not talking about Janet Jackson. A boss gets pleasure from being recognized for doing a great job. Leaders get pleasure out of seeing others rewarded for the fantastic results of their passion. Imagine living in a world where everyone had the same pleasure principle as a leader. Amazing. 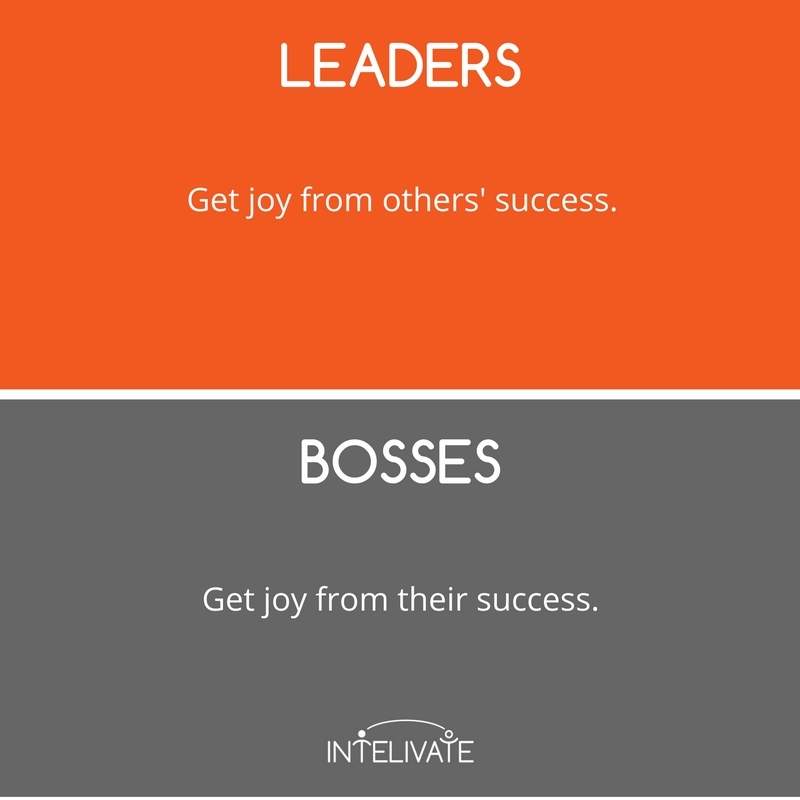 Leader versus Boss: Getting joy and being motivated by the success of others – that is one of the supporting characteristics of a leader. Bosses keep you wondering or in fear just enough so that you tell them what they want to hear. At the least, bosses condition you not to say what they do not want to hear. This is why bosses don’t need a conflict management strategy – they just expect for everyone to agree with them. 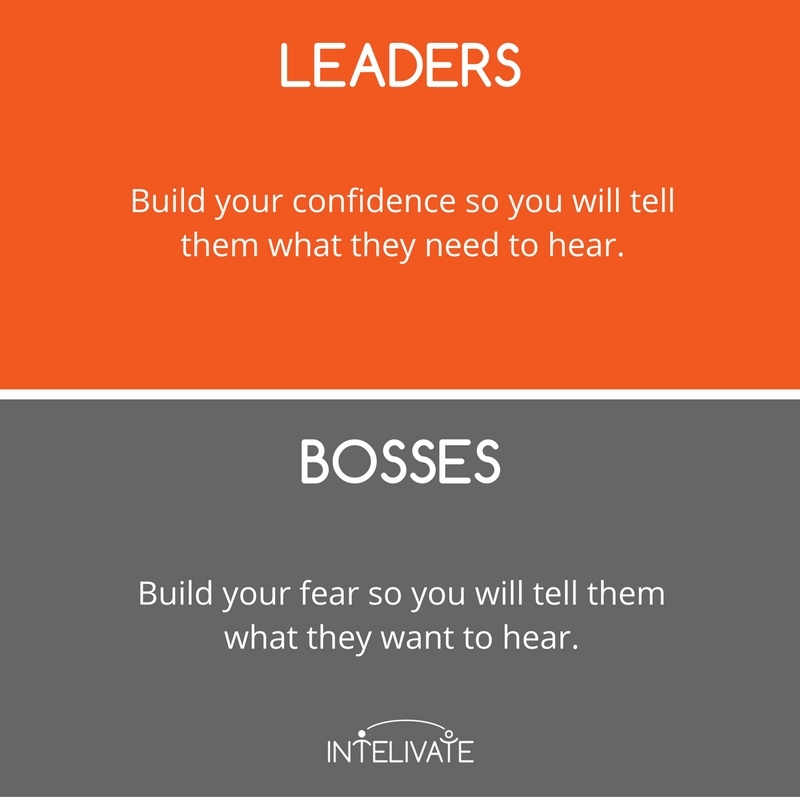 Leaders build your confidence and trust so you will tell them what they need to hear. They know leadership and trust are necessary to be influential. It may not be fun, but getting the full picture – the good and the bad – and being objective about it is one of the characteristics of a leader that fosters continuous growth, happiness, and success. Leader versus Boss: One of the top characteristics of a leader is to build your confidence – and success. Be sure to subscribe above if you enjoyed this! We’ll send our best business and career insights directly to your inbox.